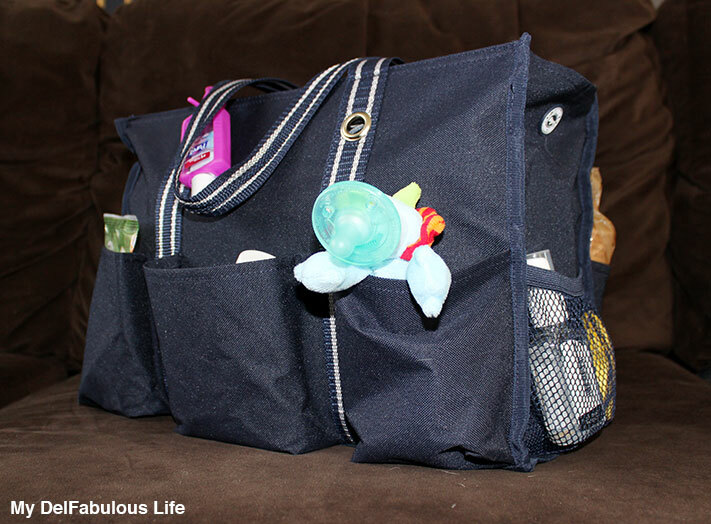 The Magic That Is My Diaper Bag! So in the almost seven weeks my Little Man has been on this earth (outside the womb that is) I've crammed quite a bit of stuff into our diaper bag, all of which is a MUST have naturally. It's the Zip-Top Organizing Utility Tote from Thirty-One and it's fantastic! 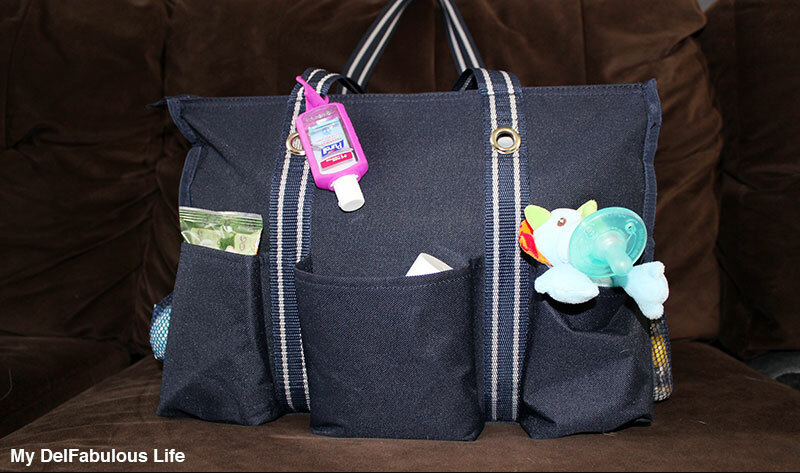 Above is everything I can fit into my diaper bag plus I recently discovered I can get my ErgoBaby Performance carrier into my bag to! 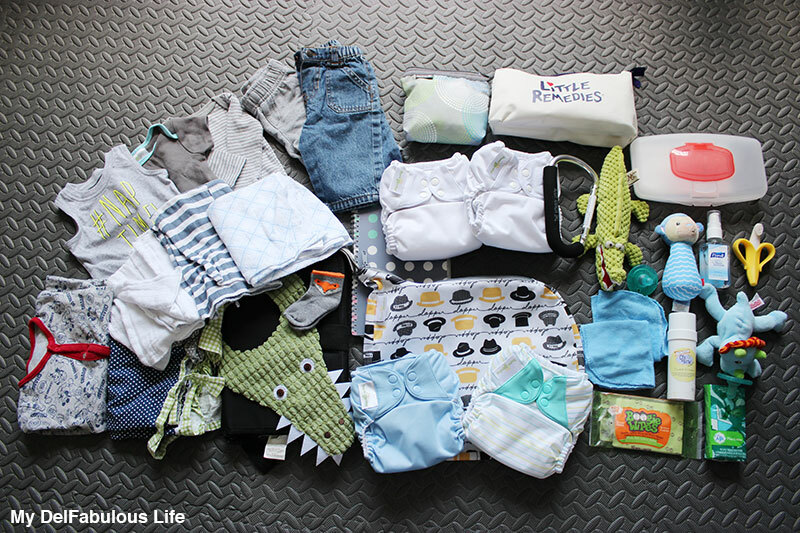 You really can't beat that! 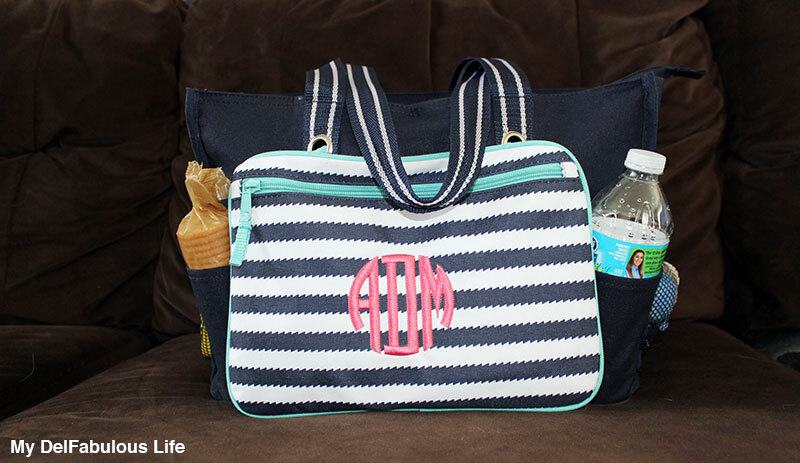 Plus the striped bag in the front (Pocket-A-Tote also from Thirty-One) is perfect for all my Mommy needs. It holds my sun glasses, wallet, aspirin and anything else I think I may need to throw in it while I'm out.